SINGAPORE - Eight new cases of dengue have emerged in Bedok over the past two weeks, bringing the total number in that cluster to 55, according to an update on the National Environment Agency (NEA) website. 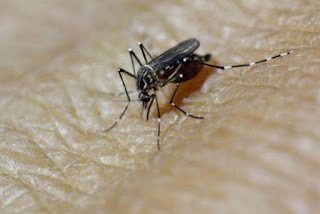 All the individuals reported to have dengue fever are residents, except one patient who works in the area, said NEA on Thursday (May 24). The Straits Times understands that no deaths have been reported in the Bedok cluster so far. The Bedok dengue cluster is one of two to be labelled a red high-risk area on the NEA website. The other is Jurong West, which has had three deaths from dengue fever so far. In the Jurong West cluster, 14 new cases have emerged in the past two weeks, bringing the total number of cases to 90. Given the new cases in Bedok, NEA said it will be conducting home visits in the area to remind residents to take precautions against dengue fever. It has also sprayed insecticides in common corridors and residents' homes in the cluster, which is made up of Block 549 in Bedok North Avenue 1 and Blocks 533, 534, 535, 536, 537, 539, 540, 541, 556, 557 in Street 3. Residents were informed on March 28 that their neighbourhood was a dengue cluster. 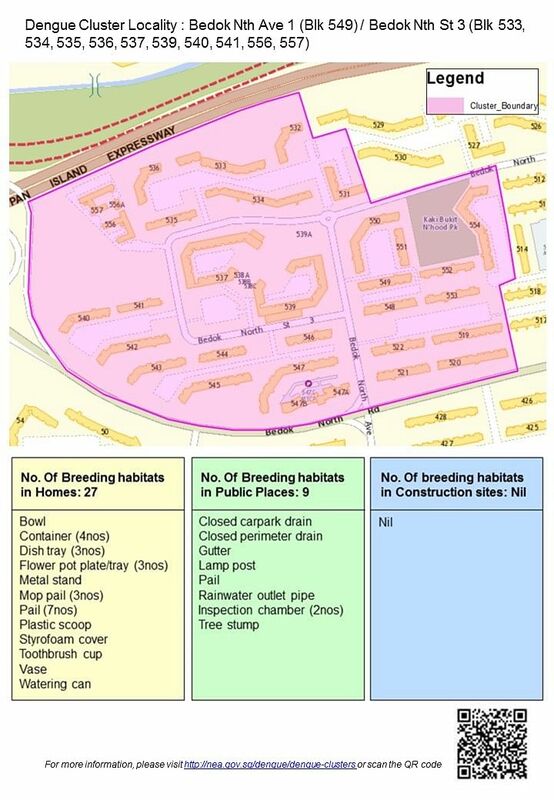 Since then, multiple checks have been carried out, with a total of 57 breeding habitats detected. Out of these, 36 were found in residential premises, in common habitats such as flower bowls, flower vases, fountains, pails and dish-drying trays. NEA has advised those suffering from symptoms of dengue fever to seek immediate medical attention. Symptoms include the sudden onset of fever for two to seven days, severe headaches with pain behind the eye, joint and muscle pain, skin rashes, nausea, vomiting, bleeding from the nose or gums, and easy bruising in the skin.